The Guardian-i system has all the features of a conventional wireless alarm system, but has video cameras built into the passive infrared detectors (PIRs). This provides a number of additional benefits not available with a conventional “blind” alarm system. When one of the PIRs is triggered the system goes into alarm in much the same way as a standard alarm system,but the PIR also generates a 10 second video clip which is automatically sent with the alarm event to the Guardian-i Alarm Receiving Centre. Our Alarm Receiving Centre is available 24/7 to monitor your system and when an alarm is received, one of our operators can view what has activated the PIR. Additional options include the ability for the operator to open up two way audio communications through the system or remotely activate a siren or other device. 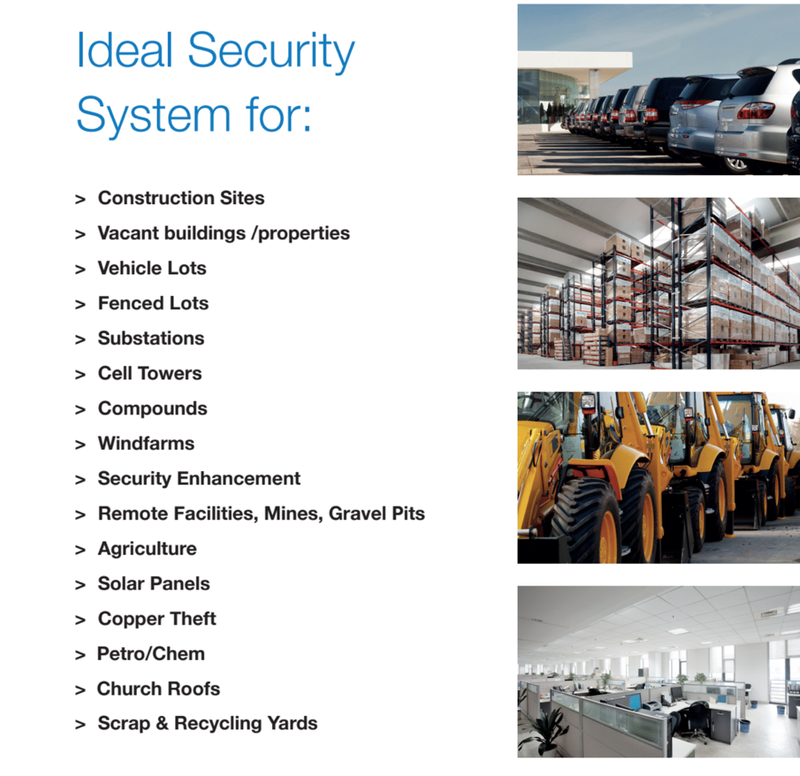 The Guardian-i system provides a number of value added features that put you in control and give you additional peace of mind for your security. Guardian-i Live works will all the same principals as our Guardian-i Video Verified Alarm Systems but with four times the technology and power. Guardian-i live offers you even more security with 4 times the detection range, Live recorded HD video, Live Audio and the control room can dial directly into the live feed from all cameras and follow the intruders around the site and offer live updates to our responders and local authorities. Guardian-i Live uses its on board analytics to analyse the scene monitoring the pre defined virtual boundary and should an unauthorised enter occur the video will trigger an alarm output and notify our surveillance centre. Our control room will then go live to the site and issue the intruder an audio warning alerting them they are in a protect zone while simultaneously be alerting our response unit and the local authorities.